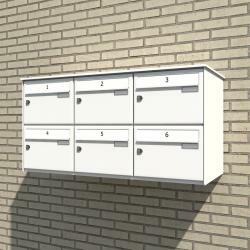 A selection of Clearance Banks of letterboxes For Sale. All our prices include delivery anywhere in UK mainland. These letterboxes are in brand new state and never have been used. They have been either manufactured by error or returned to us for exchange. They are not second-hand letterboxes. 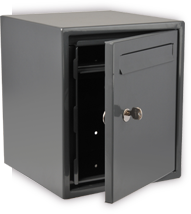 You will also see below some banks of mailboxes in a popular anthracite grey that can be supplied within 3-4 weeks if you need something quickly of a very good quality (Made in Germany). 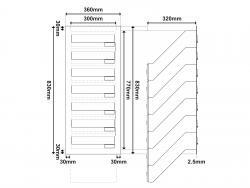 All our banks of mailboxes are supplied assembled, ready to be fitted. If you cant see what you need, email us you enquiry and we will offer you some suggestions. 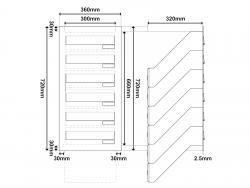 We have the widest range of letterboxes in the market, and are confident we can find what you need within your budget. 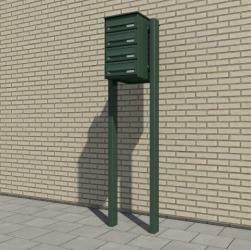 If you've been searching for letterbox banks we can provide the perfect solution.